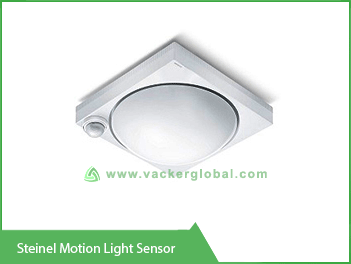 We are supplying huge variety of motion sensors for numerous residential and commercial applications. These come in innumerable types and shapes by different manufacturers. Hence we provide extensive assistance for customers in the selection process. are the most commonly used technology for detecting motion. As obvious from the name, these are also known as motion detectors are used to detect motion. The motion thus detected may be that of human beings, machinery parts, mechanical parts etc. depending on the application. The basic principle is that it will be constantly monitoring a certain area or a linear path. If any movement happens in this area, the sensor will detect the same and an output signal will be provided to other connected circuitries and instruments to carry out any related functions. These are also called motion sensor switch since the sensor is only carrying out a switching action. Different models for indoor and outdoor applications are available. All motion sensors work by detecting an input and providing an output. Motion detectors use different technologies for detecting motion. All such sensors have a transmitter and receiver. The transmitter constantly emits different types of waves based on the technology used and the waves are received back at the sensor after a time delay. Various parameters between transmission and reception are analyzed by the motion detector which determines whether a motion has been detected. All of them will generally have adjustable sensitivity and delay timing. Sensitivity setting is for adjusting the sensitivity of movement detection. If most sensitive setting is selected, minute movements will be detected. Delay timing is adjusted to set the delay in switching after a movement stops. Eg. if a delay period of 60 seconds is programmed for the motion sensor, the lights will be switched off after 60 seconds from the last detection of a motion. 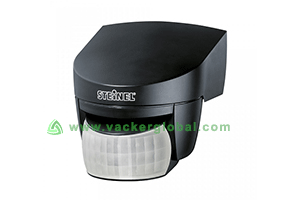 These particular types are also called motion sensor lights. Few of the major technologies utilized are briefed below.